Ella Mae Morse: The Voice Of Capitol's First Hits In 1942, the founders of Capitol Records were in urgent need of a hit. 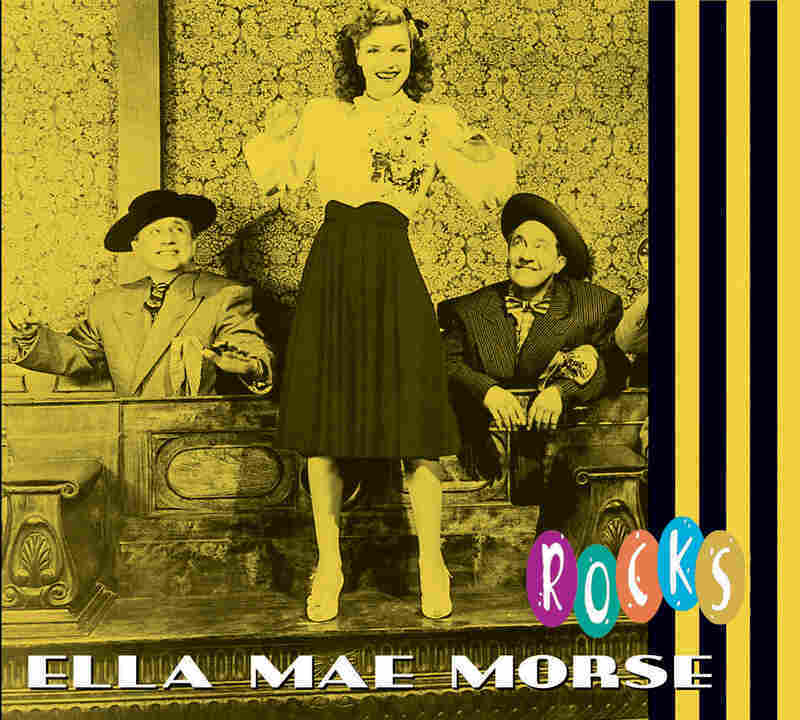 It came from a most unlikely place: a young woman named Ella Mae Morse, whose place in pop-music history has never really been given its due. Rock historian Ed Ward shares her story. When Ella Mae Morse was 9 years old and living in Paris, Texas, she went to the grocery store with her mother and heard someone playing guitar out back. She'd grown up with music — her mother was a singer and her father, who was British, had been a dance-band drummer — but this music was different. "Uncle Joe," the blues guitarist she met that day, encouraged her natural talent for blues, as did her mother. Her father had left when she was younger. Soon, she was singing on Paris' radio station, and in 1936, she and her mother moved to Dallas, where she got another regular radio slot after winning a talent contest. Morse auditioned for Jimmy Dorsey, telling him she was 19, and he hired her immediately. He fired her shortly thereafter, when the Dallas School Board told him he would be responsible for his new 14-year-old vocalist's education. 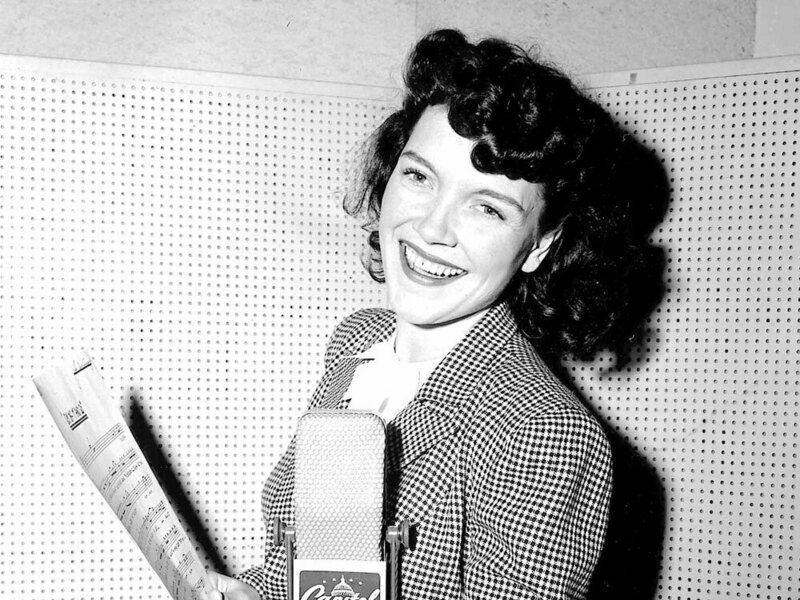 But she'd already met Dorsey's pianist, Freddie Slack, and in 1942, after she and her mother had moved to San Diego, she re-met him, now fronting his own band. Soon afterwards, he was signed to Capitol, and he went into the studio with his new singer. A smash was born: the "Cow-Cow Boogie." Not long after "Cow-Cow Boogie" came out, a Musicians Union strike shut down the recording industry. Capitol knew they'd have to settle if they were going to survive, so the label spent the next few years recording Morse singing bland material that didn't sell. It was only when Slack reunited with her in 1946 that anything hit, though. It was called "House of Blue Lights." Along came another union strike, but Morse's five-year absence from the studio after "House of Blue Lights" was explained by her getting married — for the second time — and relocating to Boston, where she and her doctor husband raised their three kids. But Capitol needed her, and in 1951, she agreed to try pop takes on the currently fashionable hillbilly boogie style. The results, including the track "Okie Boogie," were red hot. From there, Capitol decided to try her on R&B material, initially from the '40s, and she scored with Amos Milburn's "Greyhound" and Hadda Brooks' "Jump Back Baby." This worked well enough that, in 1953, Ella Mae Morse became one of the singers now derided by orthodox rock historians for covering black artists' hits. One listen to the results of these sessions, though, shows that it's not exactly like Pat Boone covering Little Richard. But times were changing; very few of these numbers charted, and by the time Morse recorded her last sessions for Capitol in 1955 and '56, record 'n' roll novelties flopped, and her personal life fell apart at the same time. In 1958, she married one last time, and although Capitol let her go, she performed regularly around Southern California and toured with all-star bands from time to time. She retired in 1978 and died in 1999, at which point her pioneering hits had been rediscovered by a new generation.